Drew Hayden Taylor on his real life heroes and favourite fictional characters. Humorist Drew Hayden Taylor has published 30 books that span a range of genres. 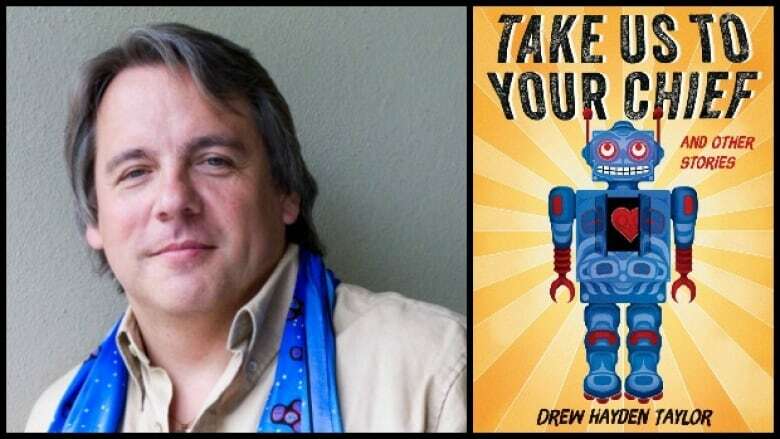 His latest book, Take Us to Your Chief, blends sci-fi with First Nations storytelling. Below, Taylor answers The Next Chapter's version of the Proust questionnaire. Tell me about your favourite character in fiction. On one hand I'm tempted to say Jessica Rabbit. But other than that, when I grew up I really liked Tarzan of the Apes. I read all 24 of the novels. I know it's politically incorrect, but when you're a white-looking kid growing up on a reserve and you read about this guy who was white-looking in a completely different environment and managed to prevail, it appealed to you in a weird sort of way. As you get older, you read about the type of colonialism and racism that exists within the book and it sours you a bit. I guess my favourite journey is the one I'm on right now. I never expected to be a writer. In fact, I was actively discouraged from being a writer by my Grade 11 English teacher — my mother. I didn't start writing until my mid 20s, so I came into this weird and wacky world of writing, completely unprepared. I'd never taken a writing course in my life. I think the journey to being a writer is my greatest challenge so far. Every time I sit down to start a project, it terrifies me. A cubicle and my existence within that cubicle, which is an odd thing to say because as a writer I sort of have a self-imposed cubicle. I refer to it often as putting a blanket on. I just have to be all by myself, quiet, sitting there, writing, but my mind allows me to go to strange and exotic places. But I have a feeling that most people who work within the confines of a cubicle don't have that mental freedom. So I would find that very uncomfortable. Who are your favourite heroes in real life? My grandfather is one. My grandfather raised 14 children in an environment where Native people didn't have the opportunity to make a lot of money. But he managed to do it very effectively. My mother, who is a single parent, raised me in an environment where being a single parent wasn't always an excellent avenue for advancement and achievement. So, I'd have to say, those two people. My greatest achievement, I think, is having more friends than enemies. What is your favourite place in Canada, and why? My favourite place in Canada is my community — Curve Lake First Nation. It's lovely. Located in the Kawartha Lakes, you've got lakes, you've got trees, you've got rolling hills. Other than that, I enjoy going to Montreal. I enjoy Banff. I enjoy the west coast. I enjoy going up north. Basically, I enjoy going anywhere in Canada. Drew Hayden Taylor's comments have been edited and condensed.